Marina Inn at Grande Dunes is one of the premier luxury resorts and hotels in Myrtle Beach, giving guests access to a secluded area that is perfect for families or romantic getaways. Every one of the oversized guest rooms, with their tasteful decorations and rich earth toned color scheme, has private balconies, 47-inch TVS and premium channels, glass showers with RainShower heads, cotton bathrobes, lighted makeup mirrors, a mini-fridge, and Wi-Fi access. Some rooms also have washers, dryers, and full kitchens. You can select suites with up to four bedrooms. 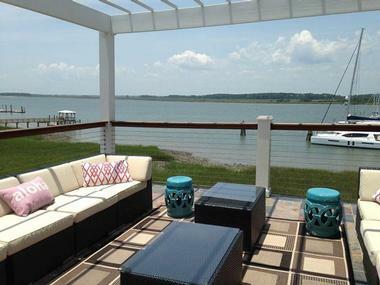 The Cottages on Charleston Harbor provide a home-like atmosphere in which you can unwind and forget your worries. The cottages each have two bedrooms and three baths as well as a screened porch, living room, and full kitchen. 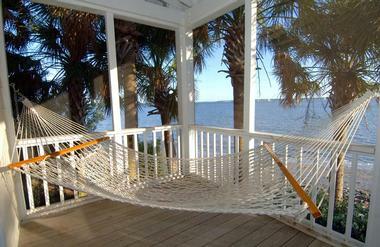 To maximize relaxation, the porch has a table and chairs as well as a hammock. The living rooms have heart pine floors, seasonal gas fireplaces, cathedral ceilings, and a full wall of windows from which you can admire a spectacular view if you don’t feel like watching TV. The open kitchen is ready to serve six guests and has a cooktop, oven, coffee maker, fridge, dishwasher, microwave, and other tools with a nearby washer and dryer. The master bath features a jetted tub and walk-in shower, and both bedrooms have a flat screen HD satellite TV and French doors leading to the patio. Guests also have access to a private beach with chairs and tables, an outdoor swimming pool, heated spa, and the Clubhouse lounge, where you will find daily refreshments and a continental breakfast. The Lookaway Inn, located in a historic Southern mansion from the 1800’s, has been in operation for more than a century in North Augusta’s historic town center. 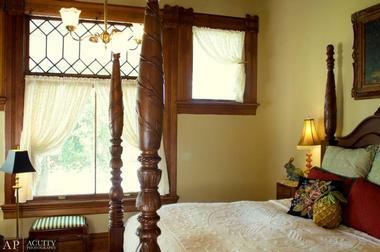 Its romantic bedrooms are elegant and inviting and include period-style furnishings and spacious private baths. The private baths have shower-tub combinations and some rooms also have jetted tubs and private verandas with views of the gardens or lawn. Other room amenities include cable TV and wireless Internet. The rooms either have one or two queen beds, two twin beds, or a king bed. Amenities vary by room type but can include private balconies, deep soak tubs, separate showers, large living areas, multiple balconies, and two bedrooms. The Harbor Side, the historic part of the resort, has 125 guestrooms with a choice of traditional or deluxe rooms or suites. There are also rooms with balconies and harbor views. All rooms have custom linens, 42-inch TVs, cotton robes, and pillow top mattresses. Other possible amenities include fireplaces, custom cabinets, hand-painted headboards, and multiple bedrooms. The property also includes a seasonal pool, private beach, three full bars, a Jacuzzi, bike rentals, fishing opportunities, surfing, sailing, and recreational programs. The resort hosts the Tiki Bar for poolside cocktails, the Reel Bar for drinks, and seafood at Charleston Harbor Fish House. If you are looking for unique South Carolina vacation spots, this is a great place to visit. The Columns, a bed and breakfast located in historic Dillon, is housed in a 1903 building designed in the Greek Revival style. The historic home has been restored to include Antebellum architecture, and you will see period details and antiques throughout the guestrooms and public areas. There are five guestrooms, each of which has tasteful decor, a fireplace, and the ability to transport you back in time to the late 1800s. Each of the three suites has a king-sized bed, oriental rugs, wood floors, bay windows, closets, armoires, and private baths with a claw foot tub and shower and bead board wainscoting. The two chambers have queen-sized beds and amenities similar to those found in the suites except one has a tub-shower combination while the other has a walk-in shower. Guests also have access to wireless Internet, movies, DVD players, HDTV, cable, Netflix, and central heating and air. Guests are more than welcome to spend an evening relaxing on a rocking chair on the columned veranda. Gourmet breakfast is served in the morning with fine linens, silver, and china in the dining room. The Pelican Inn is situated right along the beach, providing gorgeous views and easy access to outdoor recreation. The inn has eight air-conditioned guest rooms perfect for your next vacation. The building was originally the summer home of Plowden Charles Jenrette Weston from Hagley Plantation, and because the house was meant for use during the summer months, the design of the home maximizes ocean breezes and ventilation. You are welcome to spend some time on the porch in a hammock or chair. The inn provides direct beach access as well as a private dock, which is perfect for crab trapping or watching the sunset. The property is behind the island’s highest dunes, and the oak trees along the boardwalk provide protection from beach noise and sand. In the morning, you will enjoy a delicious breakfast with fresh biscuits and delicious dishes made from local ingredients. There is also a midday dinner served daily so you can enjoy more fresh food with homespun desserts. The Beaufort Inn is situated in the middle of the Landmark Historic District of Beaufort, and it is renowned for its lush gardens and historic architecture. 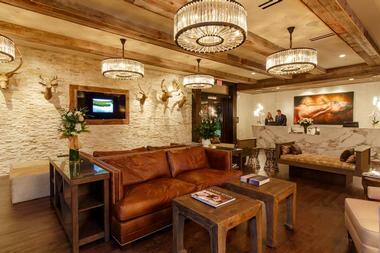 The Inn is designed to combine the quaint charm of a bed and breakfast with the refinement of a boutique hotel. The establishment has 34 guest rooms, each of which is unique and features Wi-Fi access, bathrobes, and coffeemakers. Options include rooms, suites, cottages, flats, and even a loft for extended stays. Guests can stroll through the gardens and admire the peaceful fountains and striking architecture. You can also relax on a rocking chair on the porch or veranda. The property also features a spa garden and fire pit as well as parking for buses and RVs. Some rooms are even pet-friendly. Guests get a complimentary Southern-style hot breakfast as well as afternoon refreshments and sweets. The inn’s convenient location means the Beaufort Waterfront Park is just two blocks away, and many local attractions and restaurants are within walking distance. The Red Horse Inn is ideal for an intimate weekend away from home; the Blue Ridge Mountains form a gorgeous backdrop for your escape, and there are numerous packages for weddings, honeymoons, and couples’ vacations. 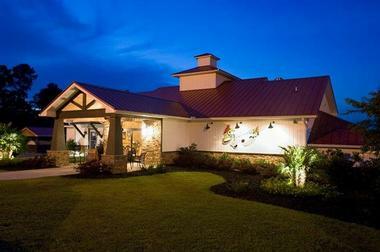 The inn features six cottages and six inn rooms, and free wireless Internet is accessible throughout the property. All accommodations have TVs with DVD players, noise machines, seasonal fireplaces, and other appealing amenities. Some also have satellite TV, whirlpools, private entrances, kitchens, living rooms, and private outdoor hot tubs. Guests can sit on the extensive patio or in the arbor and look out at the mountains. The property also has a patio, a pond, and gardens in the courtyard. The inn has a kitchen closet where you will find your breakfast, giving you the chance to sleep in without missing a meal. It is stocked with fresh fruit parfaits, croissants, jumbo muffins, quiches, egg casseroles, oatmeal, grits, orange juice, tea, coffee, and whole fruit. 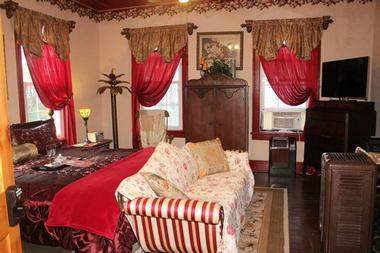 The Cuthbert House Inn is set in an antebellum mansion that originally served as a summer home 200 years ago. Every room and suite has modern conveniences and a private bath. Rooms may have an oversize shower, a whirlpool tub, or a claw foot bathtub for soaking as well as a queen or king bed. All rooms have free wireless Internet, magnifying mirrors, complimentary toiletries, cable TV, DVD players, bottled water, fresh ice, and mini-fridges. Many rooms even have working fireplaces and boast gorgeous views. You can enjoy the gentle Southern breeze on the veranda or spend some quiet time in the main parlor. Guests can also borrow one of the bikes or rent a kayak. The historic district of Beaufort and Waterfront Park are located just a short walk away. The room rate includes a homemade Southern-style breakfast served with coffee. The inn also offers refreshments and hors d’oeuvres in the parlor or veranda at sunset. Three Pines View is surrounded by the gorgeous Blue Ridge Mountains and is located just a few minutes away from Lake Keowee and Lake Jocassee, providing the chance to relax in a natural area without being too far from larger cities. There are four rooms available, each with a unique theme or decor. Some rooms have numerous large windows, lofts, reading areas, glass walls, and private porches. The lodge features a guest kitchen that guests can use as part of their stay with an island bar, dishwasher, large fridge and freezer, cooking utensils, and double oven. There is even a porch with an outdoor gas grill and porch. Guests can explore the area on foot or rent a kayak. Breakfast is included with every stay and features tasty items like homemade bread, jam, and a delicious hot entree. You can also request lunch or an ad hoc dinner either in the dining room or have the staff leave it in your room’s personal fridge. Meals use fresh produce that the innkeepers grow on site whenever possible. Situated right in downtown Greenville, Pettigru Place is within walking distance of Main Street and offers luxury accommodations in a historic building. There are six guest rooms, each with their own private bath and unique personality. They have free wireless Internet, luxurious soft robes, cable TV, air conditioning, and ceiling fans. 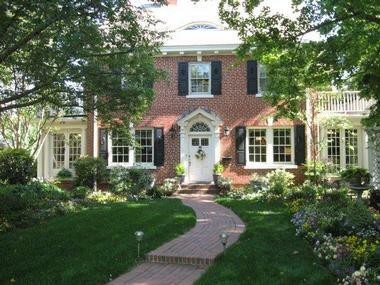 The red brick home was designed in the Federal Style and dates back to the early 1900s. The inn also features common rooms and an English garden with Adirondack chairs. You can rent a bike or ask the innkeepers which local attractions to explore on foot. You can reach downtown in just fifteen minutes if you walk at a leisurely pace. The complimentary breakfast is different every day and the inn can accommodate dietary restrictions. Possible meals include Cajun eggs, tomato pie, cinnamon roll pancakes, and pizza omelets. Guests can also savor wine and cheese in the afternoon or take advantage of a coffee bar, a bottomless cookie jar, and a fridge packed with drinks. 302 Pettigru St, Greenville, SC 29601, 864-242-4529 Things to do in Greenville. The Sea View Inn first opened its doors in 1937 and features direct access to a private beach. The inn has twenty rooms and offers three meals per day. Each room has a single bed and a double bed as well as a large overhead fan and private half bath. Visitors have great views of the marsh or ocean and cross ventilation coming from the central courtyard. You will find private beach showers with hot water perfect for washing off after a swim as well as three tiled showers in the main house. Guests can also stay in one of the six rooms in the adjacent cottage, each of which has air conditioning and views of the marsh. The private beach sits on one side of the inn while a salt marsh frames the other side. The area is truly a beach getaway, as there are no commercial properties; you can enjoy beautiful and pristine nature. Your stay includes three meals every day with fresh dishes and special options for vegetarians, vegans, kids, and those with seafood allergies. Water’s Edge Inn is conveniently located in Folly Beach, a quick ten minutes from downtown Charleston and a short walk to local attractions. There are nine island-themed rooms as well as three private villas, each of which has pleasant views of the marshlands and Folly River. Rooms have coffee makers, fogless mirrors, mini-fridges, gas fireplaces, and heavenly queen-sized beds. Families can stay in the villas, and those with children over the age of twelve can stay in the rooms. Guests can enjoy numerous beach activities such as walking along the pier or playing in the water. On-site amenities include an outdoor hot tub that overlooks the marsh and the ability to rent umbrellas, beach chairs, and bicycles. 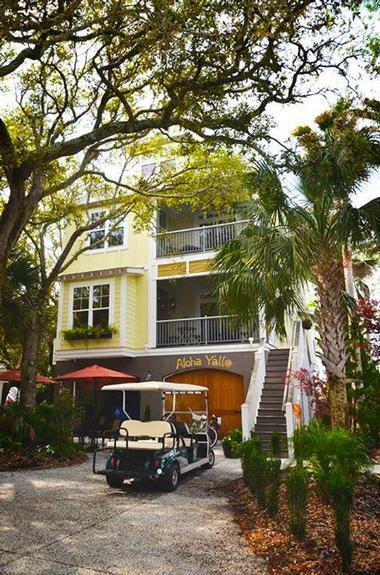 The inn also has a complimentary golf cart shuttle to help you get around Folly. A home-style breakfast is served in the morning and includes dishes featuring organic ingredients fresh from the local farmer’s market. There is also an evening happy hour with punch, beer, wine, and light hors d’oeuvres. The Regatta Inn gives you convenient access to Folly Beach, the water, restaurants, and other local attractions as well as breathtaking views. Every room has a comfortable king-sized bed, a balcony or screened porch, a gas fireplace, a coffee maker, and a mini-fridge. There are also fogless mirrors, luxurious linens, wireless Internet, an ocean sound maker, plush robes, and beach towels. Rooms have views of Folly River, the garden, the ocean, or the marina. In case you don’t feel like walking the few minutes to the beach, you can take advantage of the inn’s golf cart shuttle service. Relax on Madeline Bell Terrace with a complimentary beverage. You can also take advantage of some pampering treatments, as the Regatta Inn works with a spa service to deliver in-house massages and spa treatments, including couples massages. Daily breakfast is served in the morning, and you can enjoy wine, beer, and Folly Punch along with light snacks every afternoon/evening. The Rosemary Inn, listed on the National Register of Historic Places, is a romantic bed and breakfast located in a stately building with a sweeping veranda and twelve columns. 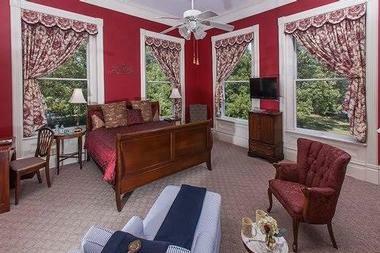 There are six guestrooms and nine baths in the Rosemary Inn. Each has pocket doors, original light fixtures, and 12-foot paneled ceilings. You will also find sitting areas, period fireplaces, lush feather bed toppers, down pillows, cozy robes, upscale bathroom amenities, iPod docking stations, and high-speed wireless Internet. The inn has hammocks along the verandah and there is a baby grand piano in the Lady’s Parlor. The property has absolutely beautiful grounds, including a 100-year-old magnolia tree. Throughout the common areas and guest rooms, you will find bronze statues, original oil paintings, lavish woodwork, and decorative architecture. Other inn amenities include a DVD library, DVD players, and the Gentleman’s Room. In the morning, you can enjoy a cup of coffee while taking in the natural scenery. Thee Matriarch Bed and Breakfast is in a 100-year-old home that has been restored to combined historical elements with modern amenities. The home-style inn is conveniently located in historic downtown Orangeburg, and this Victorian home is perfect for your time away from home. There are eight rooms, each of which is named after an important woman in the lives of the innkeepers. The guest rooms feature luxury bath amenities, in-room fridges, plush robes, and complimentary Wi-Fi. Other amenities include Jacuzzis and fireplaces, balconies, 40-inch flat screen TVs, a coffee maker and microwave, and access to a nearby fitness center. The various rooms and suites can sleep anywhere from two to ten guests. For breakfast, you have the choice of a home-style Southern breakfast, a deluxe continental breakfast, or a continental breakfast. Guests have the option to book a special package as well; options include the couple’s getaway package, wedding package, or packages that include spa services. Linwood Bed and Breakfast is located in a Victorian mansion built in 1883 on almost two acres of land with lush, landscaped gardens. The building has high ceilings, chandeliers, triple sash and Victorian bay windows, heart pine floors, and numerous oriental rugs and American and English antiques. There are three in-house suites with private bathrooms, queen beds (one room also has twin beds), individual air conditioning and heating, fireplaces, antique furnishings, modern bedding, down comforters, private label amenities, and fridge access. Some also have sitting rooms, accommodations for extra people, and multiple bathrooms. Guests can enjoy the in-ground swimming pool, wireless Internet, and cable TV or relax in the beautiful gardens or out on the wide porches. You can arrange to have an English afternoon tea, and every morning, a Grand Continental Breakfast is served. The inn has been open since 1995 and is a convenient starting point to visit nearby attractions. The Greek Revival building that houses Abingdon Manor Inn is reminiscent of English country hotels and features an on-site restaurant as well as concierge services and luxury amenities. There are seven guest rooms, each of which has either a queen bed, a king bed, or two full-size beds. They feature en-suite bathrooms, upscale bathroom amenities, working fireplaces, and nightly turndown service. You can also arrange to have champagne, massages, flowers, chocolates, or special cakes delivered to your room. The inn has a front balcony where early morning coffee is served and an Honor Bar with premium liquors, soft drinks, and beer as well as complimentary packaged snacks and fruit. You can also relax in the Ladies Parlor, Gentlemen’s Parlor, library, or on the verandah. Overnight guests have exclusive access to the Dining Room at Abingdon Manor on Sunday nights while locals can take advantage of this upscale dining establishment the rest of the week. There is a prix-fixe menu, wine, and pre-dinner cocktails along with soft jazz. You can also pick up lunch to go from the restaurant. Spinner’s Resort gives guests the chance to stay in a beautiful cottage right next to the lake, making it an ideal destination for families. The cottages have living rooms with comfortable seating, satellite TV, and wireless Internet. The fully equipped kitchens have dishes, glassware, cookware, and full-size appliances as well as nearby washers and dryers, so you’ll have every thing you need to make your stay comfortable. The king size bedroom has a closet and ample storage and there is also a sleeping loft with two bunk beds or three twin beds. You can rent a linen package or simply bring your own. All cottages have at least one full bath, and some have an extra one as well. The cottages adjoin, allowing Spinner’s Resort to accommodate larger groups. Relax on one of the cottage’s porches, which feature cozy seating options and peaceful lake views. There are also charcoal grills at the cottages and each cottage is only a short walk to the lakefront. You can also access the fitness studio or spend time on the swings, playing bocce ball, or playing volleyball. You can also go swimming or rent a pontoon, Jet Ski, kayak, or bike. Enjoy a snack and drink at the Captain’s Quarters or have a full meal at the Sports Bar, Clubhouse, or Tropical Beach. Nestled on Kiawah Island, the Andell Inn is one of South Carolina’s best-kept secrets, and it offers guests an unforgettable experience of a lifetime. Overlooking the Kiawah River, this elegant hotel features beautifully appointed guest rooms with modern amenities, en-suite bathrooms, and lovely river views. Individual suites offer separate living spaces with pullout sofas, fully equipped kitchens, and dining tables for extra convenience. Guests can savor a complimentary hot breakfast buffet every morning while overlooking the tranquil waters of the river, and a stylish porch bar is the best place to sip cocktails as the sun sets in the evenings. Other hotel facilities include a heated outdoor saltwater pool, a 24-hour fitness center, and a scenic bike trail for which bikes can be rented. 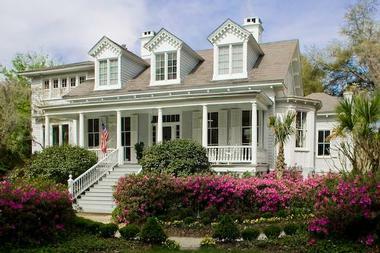 The Andell Inn is a short drive away from the Kiawah Island Golf Resort and Kiawah Beachwalker Park. More places to visit in South Carolina: Best Things to Do in Columbia, South Carolina. Come and spend an activity-packed weekend in Columbia, the capital of South Carolina, where there is something to interest everyone in the family. You can spend your days hiking or cycling miles upon miles of trails in the lush Harbison Environmental Educational Forest or the lovely Saluda Shoals Park, which also offers great kayaking, paddling, and canoeing. Strolling through the Columbia Canal and Riverfront Park is a little less strenuous, and you can also explore the old Columbia waterworks, a textile mill, and the oldest functional hydroelectric plant in South Carolina. If you enjoy historic sites and museums you can go on a tour of the South Carolina State House, and visit the South Carolina State Museum, which has fascinating exhibits and encompasses an observatory, a planetarium, and a wonderful 4D interactive theater. There are several historic houses you can tour, including the Governor,s House, the Hampton-Preston Mansion & Gardens (1818) and the Robert Mills House & Gardens dating back to 1823. If you are travelling with the family, you might want to visit the Riverbanks Zoo and Botanic Garden, and the children can learn all about the human body at the EdVenture Children,s Museum. For foodies there are the popular Columbia Food Tours, which depart from the steps of the South Carolina State House. Greenville is a South Carolina destination that offers plenty of indoor and outdoor activities for the whole family. A good place to start exploring is at Falls Park in the historic West End, where you can admire a selection of public art installations and have a picnic, walk, jog, or cycle the Swamp Rabbit Trail. Another fun way to explore the area is on a Segway Tour, offered by Greenville Glides, who also offer slightly scary Haunted Tours through Springwood Cemetery. At Caesars Head State Park you can hike, fish, bird watch, and see a wide variety of wildlife. To combine education with fun, check out the Roper Mountain Science Center, which has a planetarium, arboretum, forest trail, and Butterfly World, and then head to the Children,s Museum of the Upstate, which promises hours of interactive fun. The Greenville Zoo in Cleveland Park is the place to go to learn all about animals and habitats. Theater and art enthusiasts can visit the renowned Peace Center to take in a delightful performance by the Greenville Symphony Orchestra, the Greenville Chorale, or the Carolina Ballet Theater, or they can visit the Greenville County Museum of Art, which boasts a wonderful collection of work including that of American artists Andrew Wyeth and Jasper Jones. In summer the vibrant TD Saturday Market on Main Street is the place to be. Hilton Head Island is a perfect island vacation destination offering all the necessary ingredients for a wonderful fun-in-the-sun holiday. You can get your holiday off to a brilliant start by beach-hopping (on foot or by bicycle along a great network of trials) from one great beach to the next. Coligny Park Beach is the most popular beach on the island, but if you prefer a quieter spot, Alder Lane, Chaplin Community Park, Folly Field Beach Park, Burkes Beach, and Islanders Beach Park are all just as beautiful. Energetic visitors can head to H2O Sports at the Harbor Town Marina to sign up for just about every water sport imaginable or to get an aerial perspective of the island on a Zipline Hilton Head adventure. If you want to get up close to a variety of marine creatures you can go out on a boat excursion with the Live Oac Outdoor Adventure Company or take a sunset catamaran cruise with Pau Hana and Flying Circus Catamarans. Hilton Head also has several stunning nature preserves where you can go walking, hiking, and bird watching – try Pinckney Island National Wildlife Refuge, Sea Pines Forest Preserve, or Audubon Newhall Preserve. For a change from the beach you can take the kids to the Sandbox Interactive Children,s Museum or visit the Coastal Discovery Museum or the Arts Center of Coastal California. As the oldest city in South Carolina, Charleston is steeped in history and has a great selection of attractions to enjoy, particularly for history and garden enthusiasts. Here you can step back in time and observe the fascinating lifestyle of the 1700,s by visiting several historic homes and gardens, starting with Magnolia Plantations and Gardens, which were established back in 1672. The gardens are absolutely stunning, and you can visit the restored plantation house, which functions as a house museum. A few of the other historic homes and gardens you can visit include Middleton Place (1755), Drayton Hall (1738), and the Nathanial Russell House Museum, all of which contain wonderful collections of antiques and decorative arts. Foodies can take advantage of the Charleston Culinary Tours, which will introduce you to the tastes of Charleston, or go on a Charleston Brews Cruise, which takes you on a bus trip from one brewery to another and includes tastings. For evening entertainment you can visit the historic Charleston Music Hall, which regularly features excellent artists, or enjoy an evening of laughter at Theatre 99 comedy hall. In addition, Charleston has a vibrant arts scene, and you can visit a wide variety of galleries and exhibitions, including the Halsey Institute of Contemporary Art. Next read: Perfect Romantic Restaurants in Charleston, South Carolina and Best Romantic Getaways in Charleston. Myrtle Beach is an ideal weekend beach destination offering a good blend of active seaside attractions coupled with opportunities to check out shopping, art, and museums. You can start your weekend by strolling along the Myrtle Beach Boardwalk and Promenade as the sun sets, and then take a ride on the 187ft Skywheel Ferris Wheel to see the beachfront lights flicker to life. The beaches are wonderful for sunbathing and swimming, and you can take surfing and paddle-boarding lessons or hire canoes and kayaks from the Downwind Surf and Paddleboard Company. When you have had enough sun for the day, you can enjoy a wide variety of family-oriented attractions such as the Family Kingdom Amusement Park, the Myrtle Beach Safari Park. Broadway on the Beach is a huge shopping and entertainment venue where you can shop, dine, or enjoy the Backstage Mirror Maze (where lasers and mirrors simulate a 1933 bank robbery) and Pavilion Park, which has rides for all ages. In addition, you can visit the Hollywood Wax Museum and Ripley,s Wax Museum, and vintage car enthusiasts can feast their eyes on over fifty vintage American cars at the Wheels of Yesterday Museum. Golfers can take their pick of several golf courses, and if you like camping and hiking, the Myrtle Beach State Park is the place to go. Plan your escape from the city and get back to nature at Huntington Beach State Park for a relaxing and rewarding wildlife experience. The park is ideally situated right on the pristine Grand Stand beach and is equipped to host all campers, either in the designated tent section or at serviced RV stands. At Huntington Beach State Park you will never have a dull moment. If you just want to relax, you can sunbathe or stroll along miles of untouched beach. You might want to try your hand at surf fishing (rumoured to be especially rewarding) or fish off a jetty, and there is a boat ramp at Oyster Landing. You can explore an assortment of hiking trails that vary from 0.3 to 2 miles long, which will expose you to wonderful bird watching opportunities, especially from the boardwalk over the inland lagoon and from several observation points. The Nature Center offers a year-round schedule of exciting programs and activities including the chance to feed sting rays and other marine creatures, crabbing, observing alligators in the ponds, surf seining, and learning about sea turtles. You can also take a guided tour of Atalaya, the former winter home of Anna and Archer Huntington, and if you visit in September, you can join in the fun at the annual Atalaya Arts and Crafts Festival. A weekend camping trip to the Congaree National Park will give you the opportunity to really get back to nature and see some of the tallest trees in the US. The national park has plenty of activities for visitors of all ages, and children in particular will enjoy the novelty of camping in a tent under the stars. There are two campsites (with basic amenities such as toilets, fire pits, and picnic tables)where you can set up your tent and build a fire for your evening barbecue, while the more adventurous campers can head off to the back country to truly rough it in the bush without any campsite or services. There are some great hiking trails that will take you deep into the heart of the towering forest, and you can pick up maps at the Harry Hampton Visitor,s Center, where all the trails begin. During the summer months you can go on Ranger Led Programs designed to be both fun and informative and include Nature Discovery Walks, Big Tree Hikes, and Wilderness Canoe Tours. You can enjoy hours of peaceful canoeing or kayaking along the 15-mile marked Cedar Creek Canoe Trail, which offers excellent wildlife viewing opportunities, and younger visitors can sign up for the Junior Ranger Program and be rewarded with a badge at the end of their visit. Beaufort is a small and delightful coastal town founded back in 1711, and it boasts a remarkable variety of historical and artistic attractions to charm visitors. The town is a treasure trove of historical sites, many of which can be found in historic Downtown Beaufort. Here, you will also find the South Carolina Visitors Center where you can pick up maps and walking tour guides. The Henry C. Chambers Waterfront Park provides a wonderful outdoor area for picnics or romantic walks and is bordered by a marina where you can go on dolphin watching tours, chartered fishing excursions, or sunset cruises. If you would like to get out on the water in a canoe, you can kayak the Salt Marsh – guided tours are available from Beaufort Kayak Tours. To explore the Historic District you can go on a guided tour by horse-drawn carriage, follow a walking tour, or rent a bike from Low country Bikes. Some of the historic buildings you should definitely add to your itinerary include the John Mark Verdier House Museum, the James Robert Verdier House, the St. Helena,s Episcopal Church, and the Thomas Hepworth House. Beaufort has a thriving arts scene; you can find many interesting galleries dotted throughout the historic district, and the USCB Center for the Arts puts on regular performances in all genres of the performing arts. Folly Beach is enviably situated between the Atlantic Ocean and Folly River, and the proximity of the water gives this charming South Carolina town an island-like atmosphere. It is the ideal weekend destination to enjoy just about every water sport you can imagine, watch amazing dawns and sunsets, and feast on gourmet fresh seafood. The mild climate in Folly Beach means that kayaking is popular throughout the year, and you can choose to set out to sea or kayak the Folly River. Equipment rentals and guided kayaking tours are available through Charleston Kayak Company and Charleston Outdoor Adventures. You can also learn to sail or paddle-board or go fishing from the Edwin S. Taylor Fishing Pier (you can rent all equipment on site). If you have a good head for heights, you can try rope climbing at the Wild Blue Ropes Adventure Park or go rock climbing with On Purpose Adventures, while less adventurous visitors can enjoy cycling and picnicking, swimming and sunbathing at the endless beaches, or a round of golf at one of several golf courses. Other activities include evening yoga and movies on the beach and a variety of live music venues. 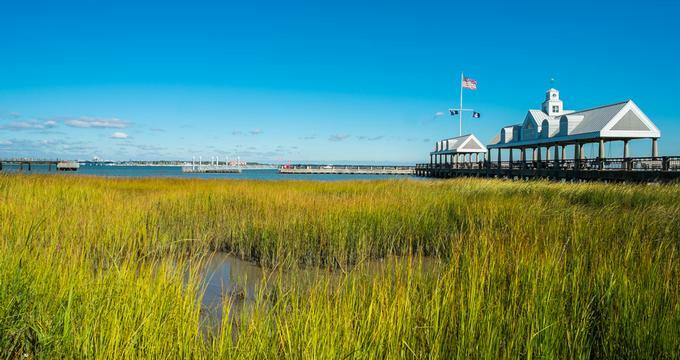 If you are interested in history, you can visit the Morris Island Lighthouse, and the bustling and artsy town of Charleston, which is just 15minutes from Folly Beach, offers still more activities. The city of Aiken was established in 1835 and named after William Aiken, the president of the South Carolina Railroad, and is packed with both outdoor and historical attractions. A good place to start exploring the city would be at the Aiken Visitors Center, where you can pick up maps, book tours and visit the Train Museum. Transport enthusiasts can visit the Clifford S. Gerde Carriage Museum or take a narrated tour of the town on anAiken Trolley Tour. There are several historical buildings and attractions you can visit, including the Aiken County Historical Museum and the Redcliffe Plantation State Historical Site, which includes the restored slave quarters and the simply enchanting gardens. Nature lovers will also enjoy the Aiken Arboretum Trail and Hopelands Gardens, or they might want to go hiking, biking, or horseback riding along 65 miles of sandy trails in the Hitchcock Woods or spend some time casting a line in Boyd Pond. At the DuPont Planetarium and RPSEC Observatory, you can learn about the stars and planets, while the Aiken Center for the Arts offers workshops, five fine-art galleries, and musical performances. You can watch the Aiken Civic Ballet Company in action or listen to the Aiken Symphony Guild, Inc. Aiken hosts several annual festivals with an emphasis on equestrian events.